You must be a member of the Detroit Explorers Group to attend this activity. Would you like to join this group? Please join our group to attend event In honor of the late Aretha Franklin and the musical legacy she built on the bedrock of Detroit gospel traditions, the Motown Legends Gospel Choir will perform a tribute recital in the historic DIA Auditorium. 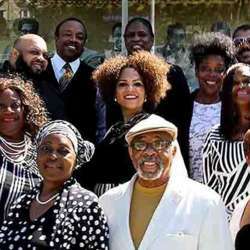 Produced by Joan Belgrave and featuring the great Thornetta Davis, the Motown Legends Gospel Choir will deliver audiences back to the Queen of Soul’s source of inspiration. Please go online and get your ticket.